Prince Harry and Meghan Markle's wedding is three months away — and they're starting to spill details on the big day! 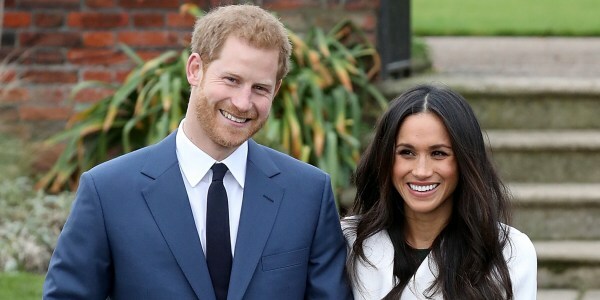 In a press release provided over the weekend, Kensington Palace revealed what time of day the engaged couple plans to marry, how they're going to celebrate that night and a charming way the public will get to see the bride and groom! Kensington Palace revealed that the couple plans to share part of their upcoming wedding, scheduled for May 19, with the public. The two will ride in a horse-drawn carriage ride through the streets of Windsor after tying the knot at St. George’s Chapel, according to palace officials. Prince Harry, 33, announced his engagement to Markle, a 36-year-old American actress, last November. The couple has been granted permission by Harry's grandmother, Queen Elizabeth, to hold their nuptials on the royal grounds of Windsor Castle. The couple’s service will begin at noon local time — or 7 a.m. EST/4 a.m. PST. The service will be officiated by the Dean of Windsor, the Right Reverend David Conner and the Archbishop of Canterbury Justin Welby. An hour later, the newlyweds will depart by horse-drawn carriage and proceed along High Street through the town of Windsor before returning to the castle by the Long Walk. “They hope this short journey will provide an opportunity for more people to come together around Windsor and to enjoy the atmosphere of this special day,” palace officials said on the couple's behalf. A reception for the couple and guests from the congregation will be held at St. George’s Hall following the service and joined by the newlyweds after they conclude their carriage procession. Prince Charles, the father of the groom, also will host a private reception for the couple, their family members and close friends later that night, according to Kensington Palace. Markle moved to London last year after making her home for several years in Toronto, where she had filmed her television series, "Suits." She plans to be baptized and confirmed into the Church of England sometime before her wedding. Markle also is expected to become a British citizen. The royal wedding is expected to take place roughly a month after Harry's brother, Prince William, and his wife, Catherine, the Duchess of Cambridge are expected to welcome their third child to the family.